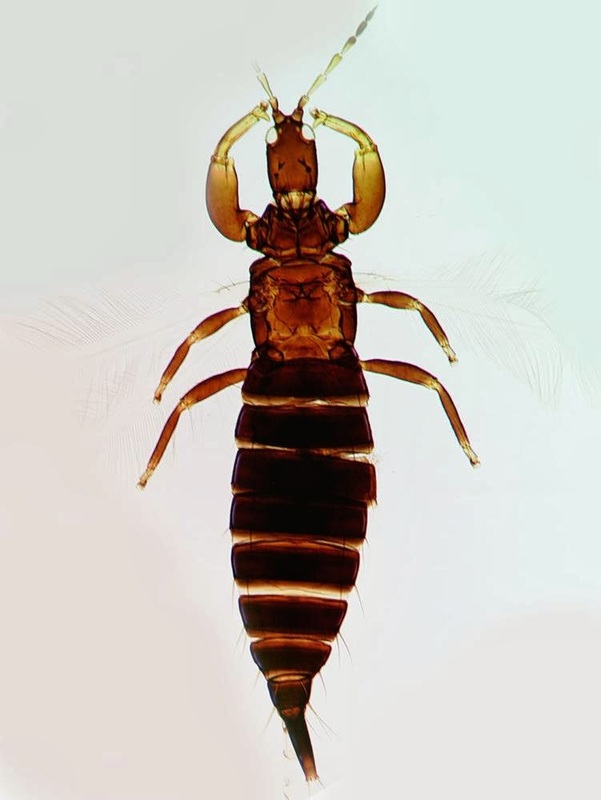 Male Nesothrips lativentris, from Thrips of California 2012. The Diceratothripina are a group of fungus-feeding thrips characterised by the presence of metathoracic sternopleural sutures and widely separated maxillary stylets (Mound & Palmer 1983). Characters (from Mound & Palmer 1983): Antennal segment IV with four (rarely two) sense cones. Maxillary stylets widely spaced, usually V-shaped. Metathoracic sternopleural sutures present.